My second day was devoted mainly to travel and getting settled on board the cruise ship. I left Seattle Monday morning on a bus chartered by Holland America which took a group of us to Vancouver. Once there, we checked in and boarded the ms Volendam. At 5:35pm, we "let go all lines" and headed off on our adventure. These are a couple of general pictures from the trip. 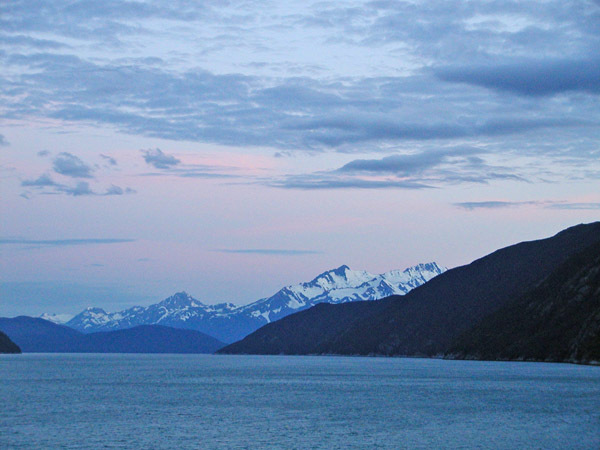 Below is a photo of a sunset after we left Skagway, AK on our way to Glacier Bay. 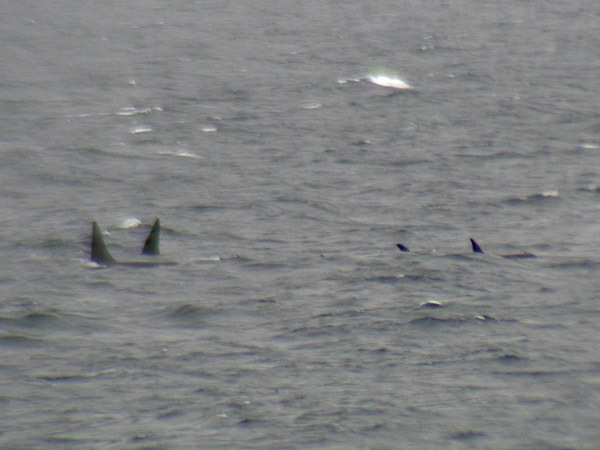 One of the few disappointments on my trip was that I didn't see a lot of Orcas (Killer Whales). I saw a few but none really were "breaching" -- going above the water. A couple did, but too quickly to get a picture. To pick up on the next part of the trip, go to the next Alaska page.